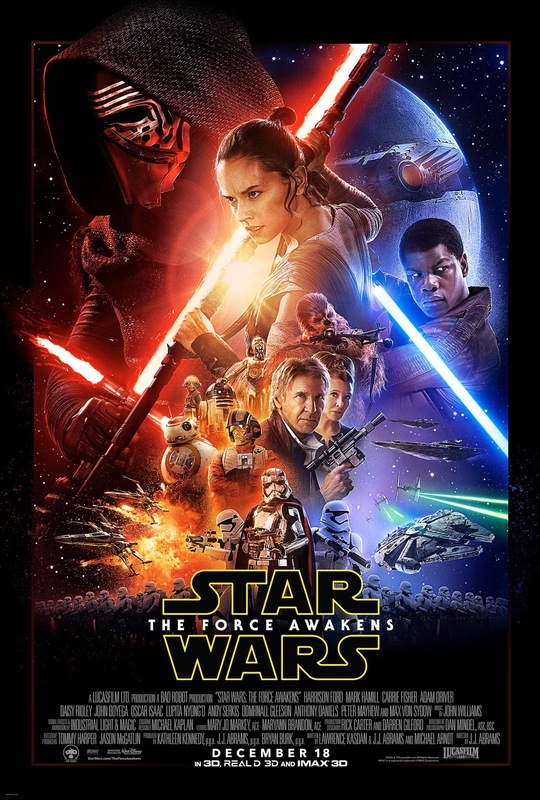 Here we go... my 2015 movie reviews. I didn't get to see a lot, but here are my ratings for what I did see. Yeah, I am missing a few of the dramas that will be major Oscar contenders, but so be it. 33 2015 movie releases seen. One gets a special rating outside of the reviews because it is both part of my top 10 and beyond it. Not the best, but still the best in my heart, so I excluded it from review to focus on the others. Star Wars: Episode 7 - The Force Awakens - I have been anticipating this movie for many years. It was great to see some of the original cast back, and the new cast works very well. Harrison Ford is on the mark as Solo, and Boyega as Finn and Ridley as Rey were great. Isaacs as Poe was an awesome surprise, and BB-8 is a great, fun new droid to watch. Filled with lots of throwbacks to the original movie trilogy, and great action and humour, this was one worth the wait. I can't forget Driver's performance as Kylo Ren. So much to look forward to in the next few movies. 1. 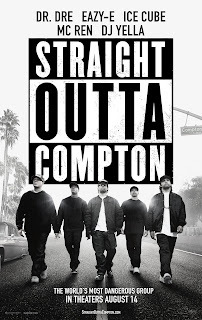 Straight Outta Compton - My pick of the year. Great casting, great story telling, raw emotion, great music, and wonderful acting. It made me feel connected to my love of rap all over again, and made me appreciate the role Easy-E had with NWA. I hope this movie wins some Oscars. 2. Jurassic World - So much anticipation and a great payoff! This movie breathed new life into the franchise with a great cast, fun action, and a final battle that was made for the ages. Oh, and the Raptor patrol lead by Chris Pratt was the bomb. 3. Inside Out - So, if emotions had emotions, then this movie is a reflection of itself in a strange way. Touching, funny, and great for the whole family. 4. Fast and Furious 7 - A great addition to the series with some killer action. And, of course, a touching send off to Paul Walker at the end of the movie. 5. Ant-man - Such great fun for a marvel superhero movie. Great special effects and a wonderful addition to the MCU. 6. The Avengers: Age of Ultron - Lots of great action in this one. Hulk vs Ironman in a great brawl. 7. Kingsman: The Secret Service - Fun, outrageous, and a great action film. Samuel L. Jackson's lisp excluded. 8. Mission Impossible: Rogue Nation - So much great action (that motorbike chase scene... damn!) and fun. I will keep watching these movies as long as Tom Cruise is involved. 9. The Hunger Games: Mockingjay part 2 - A great conclusion that did better at telling the story than the book did, well for some parts. Nice to see it wrap up. 10. Monkey Kingdom - I am a sucker for nature movies, and this was a fun one for the whole family. Silly, fun, and a great learning experience for my girls. Spectre - Bond is always great, and even though this was a let down from Skyfall, it was still some great action and neat twists. Pixels - I found this fun and don't understand the critics reviews of it. I am not an Adam Sandler fan, but I liked this one. Great throwback to my old gaming days. Tomorrowland - I actually liked this one. A fun cast, great new ideas, and neat ending. Some good CGI to enhance the futuristic look. Cinderella - Highly anticipated movie for my girls. Very well done, with a great cast. Mad Max: Fury Road - This is toping the list of a lot of movie reviews, but I don't see the appeal for top space. Yeah, it was good and bonkers, but it wasn't the best of the year. Terminator Genisys - I enjoyed seeing Arnold back in this one. Emilia Clarke was great as Sarah Connor and the plot and action were fun. Not as bad as many critics rated it. Crimson Peak - Creepy, yes. Scary, no. Del Toro's visually stunning thriller was neat to watch, but in the end, was not as scary as it could have been. Home - Can I come into the out now? A nice surprise of a kids movie. Jim Parsons as the manic alien was damn near type casting. Hotel Transylvania 2 - My kids liked it, and it wasn't as good as the first one, but it was still fun. San Andreas - AKA How many modes of transportation can The Rock use in this action movie? It was decent, not great, and some fantastic special effects. Beeba Boys - An independent Indo-Canadian movie about Indo-Canadian gangs in Vancouver. My childhood friend Steve was in this movie. 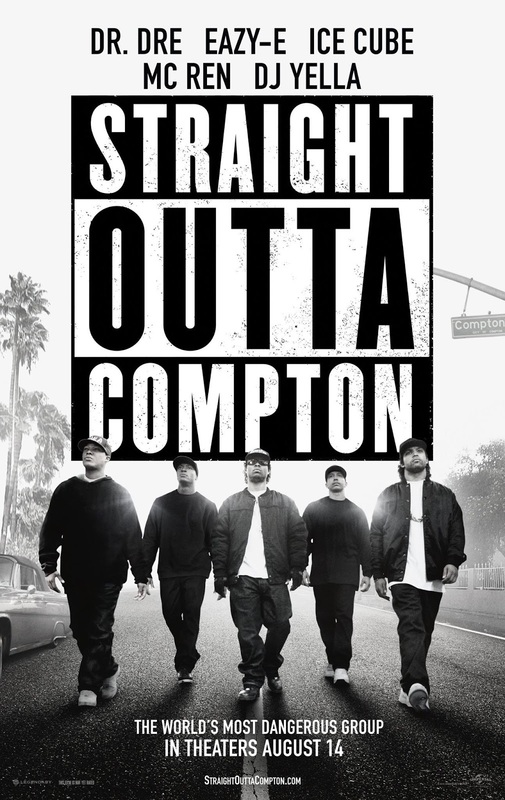 Decent action and fun, it was a gritty look at the gang wars in Vancouver. The Man from U.N.C.L.E. - Fun spy movie based on the original TV show. Nice action and good humour. Project Almanac - I love me a good time travel movie, and this was decently done. Hitman 2: Agent 47 - Didn't see the first one, but I liked the action in this one. The Spongebob Movie: Sponge out of Water - Not as manic as the first one... I could concentrate of this better and enjoy the silliness. Shaun the Sheep Movie - My kids liked this one. Basically no dialogue and all claymation. Not too bad. Minions - A spin off of Despicable Me, it was cute and fun for the kids, but I was not as impressed as they were. Fantastic Four - Not as bad as the critics panned it out to be, but not that great either. I was a little miffed that it took them aver half the movie before we saw their powers in action. Area 51 - A neat plot for a found footage movie that takes place on the UFO hotspot. Neat concepts, but weak sauce in the final act when not everything was revealed. Unfriended - A great concept for a "found-footage-like" horror movie using internet chat. Didn't make it up to the potential it could have, but it kept me interested. Taken 3 - Much different than the first two as this was more an action movie than a gritty thriller. A big let down, but Liam Neeson still rocks. Sharknado 3 - The first two were B-movie fun, but this was grasping at straws. Yes, it was intentionally bad, but it was forcing the badness this time. Chappie - So much potential for this movie. The villain casting was questionable, and the flow was strange, but in the end, a let down from Blomkamp. I mostly saw the main releases this year. I need to diversify a bit. Hard to see the outliers in Prince Albert, but I try. I'll catch up on the ones I missed in the new year or beyond.